Inequality is on the rise globally and in Australia. The richest 85 people own the same wealth as the poorest 3.5 billion people. World leaders and global economic institutions are increasingly raising the alarm about the risk extreme economic inequality poses to social stability and the strength and sustainability of economic growth itself. While some economic inequality is essential to drive growth and progress, the extreme levels of wealth concentration occurring today threaten to exclude hundreds of millions of people from realising the benefits of their talents and hard work. Extreme economic inequality is damaging and worrying for many reasons: it is morally questionable; it can have negative impacts on economic growth and poverty reduction; and it can weaken the social fabric. It also compounds other inequalities, such as those between women and men. 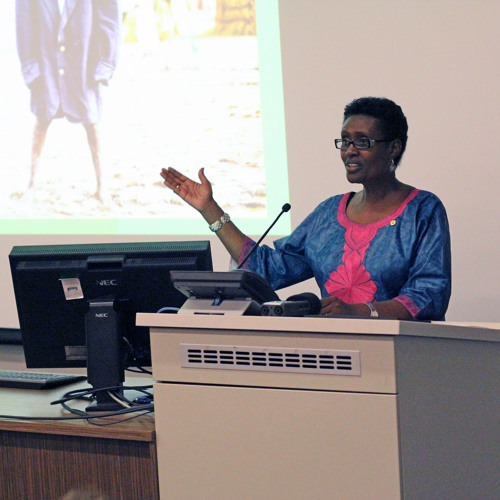 Oxfam International’s Executive Director Winnie Byanyima is a grass-roots activist, human rights advocate, senior international public servant, and world recognised expert on inclusive development and women’s rights. Over the last year Winnie has shared platforms with world leaders, the Pope, the heads of the OECD and IMF. As Australia prepares to host the G20 Leaders’ Summit in Brisbane, Ms Byanyima is visiting Australia to draw attention to the causes and impacts of rising inequality and to urge G20 leaders to take action on lasting solutions.